This entry was posted in Saints and tagged Catholic, Saints, St. Rose. Bookmark the permalink. Thanks for this, Susan! 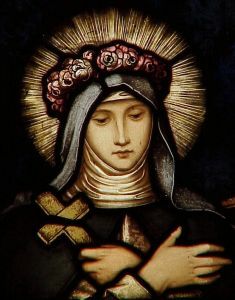 My mother named me Kathleen after Catherine of Siena and I chose Rose of Lima for my patroness at Confirmation.